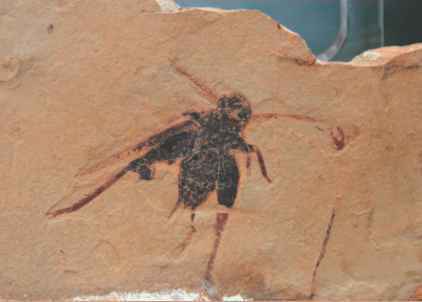 Fossil ancestors of crickets and grasshoppers extend back to the Permian Period and are commonly found in fossil deposits of the Mesozoic Era. 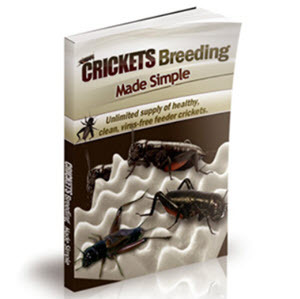 This diverse group currently has more than 22,500 species and is divided into two subgroups, the Ensifera (crickets and katydids) and the Caelifera (grasshoppers). The earliest known ensiferans date from the Late Permian Period; some of the best specimens are found in Mesozoic deposits, particularly from the Early Cretaceous of Brazil. These creatures often are preserved in exquisite detail that includes fully articulated limbs and antennae. Most are not very long, measuring about one inch (25 mm) long or less. Fossil ancestors of crickets and grasshoppers extend back to the Permian Period and are commonly found in fossil deposits of the Mesozoic Era. represent several clearly visible specimens with their body parts intact down to the tiny hairs on their legs. What fossils are found during the permian period?